One of the yummiest Italian grains around, this bag of heirloom chickpeas from Riso Carena is simply amazing. 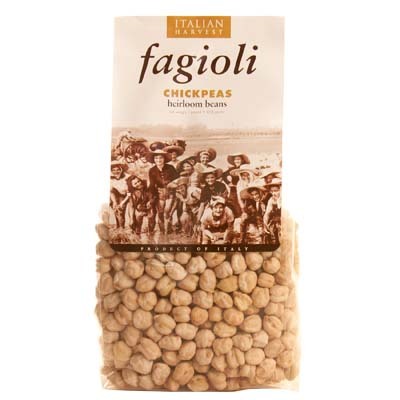 Perfect for salads, soups, and all kinds of traditional dishes, these legumes are high in fiber and protein. Add them to your pot of minestrone or make a batch of delicious pasta e ceci and you’ll know just how awesome these peas are. Simple soak them before cooking your favorite chickpeas dish. So get a bag chickpeas from Riso Carena and you’ll have a delicious and nutritious dinner in no time.